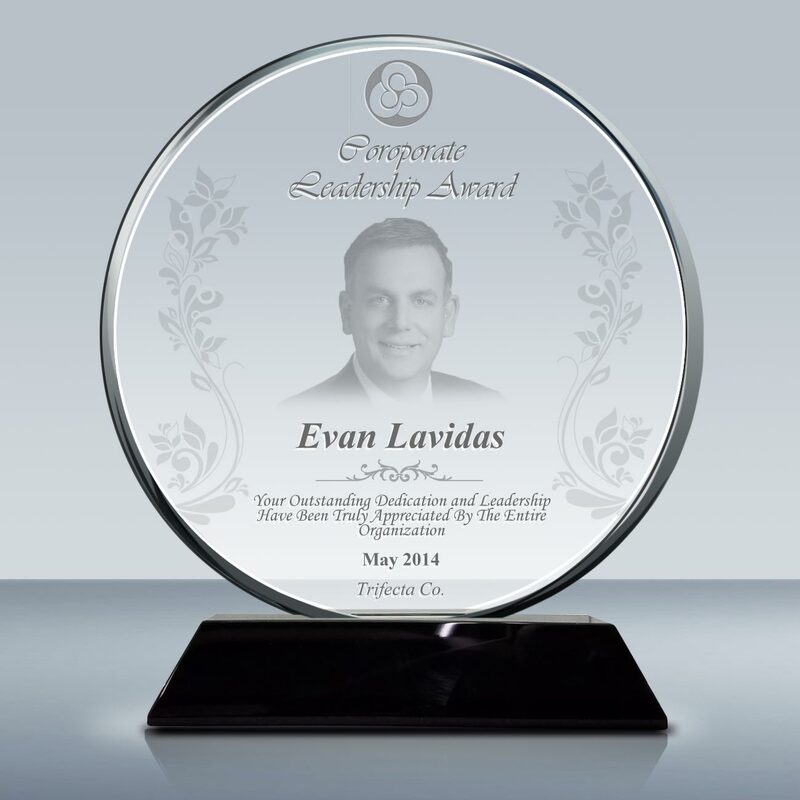 Corporate Leadership Award Evan LavidasYour Outstanding Dedication and Leadership Have Been Truly Appreciated By The Entire OrganizationMay 2014Trifecta Co.
As often told, a leader can both make and break the company. The purpose of this crystal leadership award is to recognize those individuals who demonstrated outstanding leadership qualities in professional activities, who rose to challenges to lead organization towards right direction. This elegantly designed crystal Leadership Award is the ultimate lifetime recognition of the leader for their performance. 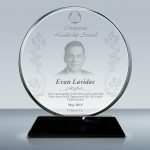 Engrave the crystal leadership plaque with thoughtful message and favorite image/logo to make an impacting impression at leadership awarding events. There is perhaps no better way to demonstrate your true appreciation to leaders of the organization and thank them for their outstanding leadership. Some crystals can also be engraved with 3D image inside and make a unique 3D crystal awards. This crystal awards/plaque is well suited for occasions such as leadership recognition awards, boss day awards and appreciation plaque, and achievement crystal awards. Reward someone’s leadership excellence and hard-working effort with this stunning crystal award.